Corboy & Demetrio Attorney Kenneth Lumb has authored the article, “Federal Tort Pitfalls,” which appears in the May issue of Trial Magazine, published by the American Association for Justice . 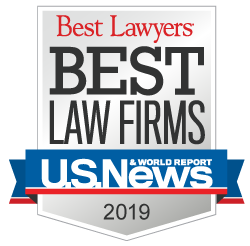 The article focuses on the Federal Tort Claims Act and hurdles attorneys may face when filing a lawsuit in medical negligence cases on behalf of an injured service member or veteran. Ken’s knowledge about the FTCA is extensive. He joined Corboy & Demetrio as a Chicago personal injury and medical malpractice lawyer in 1995 after a tour of duty in the United States Army. As a captain in the Army's Judge Advocate General's Corps (JAG Corps), Ken served four years as the Medical Claims Judge Advocate at Walter Reed Army Medical Center in Washington, D.C. His duties at the Defense Department's largest medical facility included medical malpractice defense and hospital law. Ken has also served as a Special Assistant United States Attorney. In 2003, he was mobilized in support of operation "Enduring Freedom" and spent six months on active duty at Walter Reed for which he received a Meritorious Service Medal. Ken is currently a retired major in the U.S. Army Reserve and became a partner at Corboy & Demetrio in 2015.